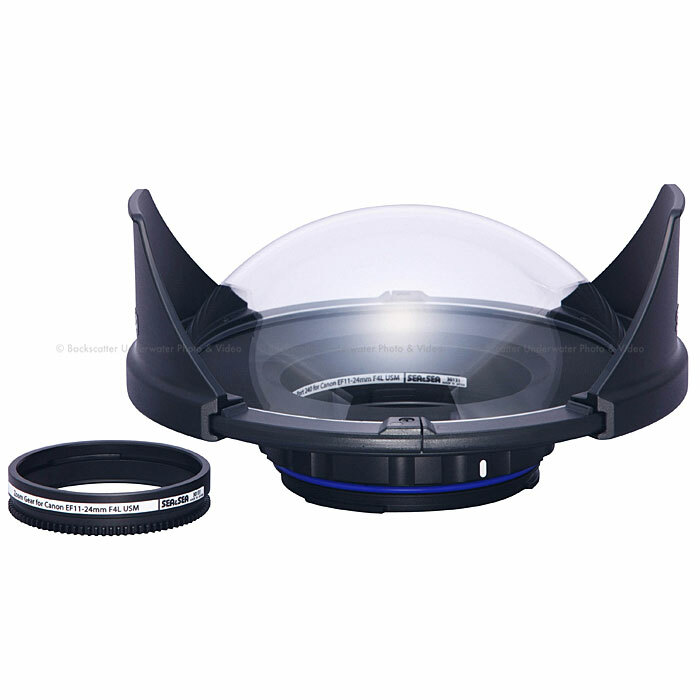 The Sea & Sea Fisheye Dome Port 240 is constructed with Corrosion-resistant aluminum alloy (with anodization and anti-reflective coating) with a depth rating of 80m. This High Quality Dome Port is designed to work with the ultra wide Canon EF 11-24mm F4L USM Lens. Extension Ring 40L is also required in order to use the port and zoom gear set. The port and lens set is only compatible with housings equipped with a lens release button on the front case. When a lens is mounted on a camera in a housing without a lens lease button, the lens cannot be removed. Auto focus only (manual focus not possible).